A survey developed by the editors of Travel + Leisure, in association with research firm M&RR, was made available at tlworldsbest.com from November 6, 2017, to March 5, 2018. Readers were invited to participate through Travel + Leisure magazine, T+L tablet editions, newsletters, social media, and travelandleisure.com. For the cruise category, respondents were asked to rate individual ships; the results were combined to generate scores for cruise lines in different categories. The categories are: mega-ship ocean cruise lines (capacity of 2,200 passengers or more), large-ship ocean cruise lines (600 to 2,199 passengers), midsize-ship ocean cruise lines (250 to 599 passengers), small-ship ocean cruise lines (249 or fewer passengers), and river cruise lines. 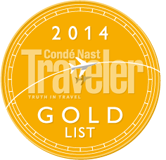 Condé Nast Traveler’s annual Gold List is based on data collected from the magazine’s annual Readers’ Choice Survey that queries readers on top destinations, hotels, resorts, cruise lines, and more. Those who make the list for five consecutive years—like Grand Circle Cruise Line—also earn a place in the prestigious Platinum Circle. 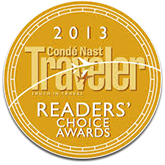 The results of Condé Nast Traveler’s Readers’ Choice awards are derived from a survey of the magazine’s subscribers, who are asked to rate the world’s best cities, hotels, airlines, cruise lines, and more. In the cruise line category, readers rated their experiences based on the ships’ activities/facilities, cabins, crew/service, design/layout, food/dining, itineraries/schedule, and shore excursions. Each year, the readers of Condé Nast Traveler rate the Top 100 Cruise Ships in the World based on their experiences onboard. 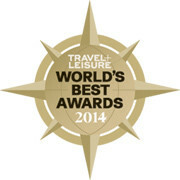 The results are separated into categories, including the Top 20 Small Cruise Ships, and the Top 40 River Ships. Grand Circle Cruise Line is proud to have a number of its privately owned ships named among the Top 100 for the past nine years. "World's Leading River Cruise Operator"